Mohammed Shahid, President of Brave Combat Federation alongside Nivedita Dhadphale, Founder at Bahrain for All had officially launched KHK Heroes, which is an initiative under the vision of His Highness Sheikh Khalid bin Hamad Al Khalifa. 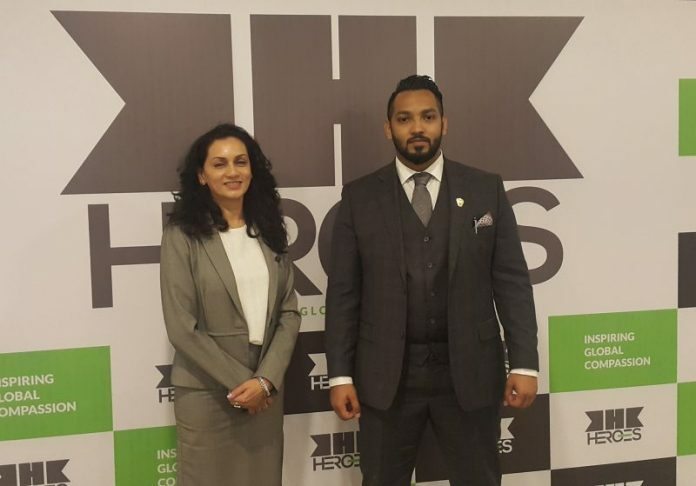 KHK Heroes launch conference was held at the Park Regis Hotel on 7th November, 2018. KHK Heroes will be a major project in the direction of justice and equality by applauding the contribution of the challenged and often forgotten members of the society. KHK Heroes will identify achievers who have struggled to overcome challenges without acknowledgement. “We are deeply honoured to His Highness Shaikh Khalid bin Hamad Al Khalifa for making us a part of his experienced and active team that has achieved so much. Our mutual vision is to support a cross section of the community and make a difference under the direction of His Highness Shaikh Khalid and together we look forward to accomplishing even more in the future”, said Nivedita Dhadphale. “KHK heroes sends a very important message. Taking the initiatives for development in any field is only the first step. The most important step is the second which is the result of the initiative. KHK Heroes will focus not only creating special initiatives for the development of Bahrain but will also focus in various sectors. KHK Heroes is going to start a big change for the youth in the kingdom of Bahrain”, said Mohammed Shahid, President of Brave Combat Federation.